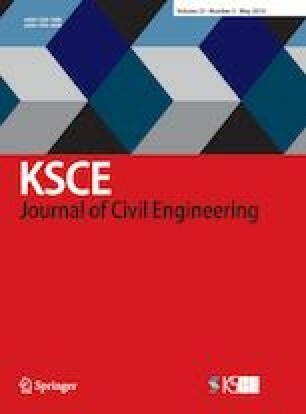 This study uses monocular digital photography and a measurement robot (MDP&MR) to monitor the sluice vibration deformation in the gate lift test and in the sluicing test. The photographing scale transformation and time baseline parallax (PST-TBP) method is proposed in the field of monocular digital photography. Results show that the PST-TBP method improves measurement accuracy slightly. Measurement accuracies on the reference plane were 0.62 pixels (0.40 mm), 0.76 pixels (0.49 mm), and 1.10 pixels (0.71 mm) in the X, Z, and comprehensive-directions, respectively. The PST-TBP method overcomes the limitation that the photographing direction must be perpendicular to the sluice plane when monocular digital photography is used to monitor the sluice. MDP&MR proves an effective method in monitoring the sluice vibration deformation as MDP can be used to monitor the trend of the sluice vibration deformation and the MR allows high-accuracy monitoring of the short periodic deformation of the sluice. They have complementary advantages to achieve better results. Thus, MDP&MR can provide a new way to assess sluice health in vibration.